Traveling in an RV is an interesting experience, especially a new RV. After we picked up the new rig in Texas, we thought that since it was new, there shouldn't be any real problems. Also, since it's a high end rig from a reputable dealer on a Ford chassis that has a good reputation, we just assumed that things would work properly, that there would be minimal rattles, and no leaks. Well, at least there aren't any leaks. LOL The excitement of the travels have quieted down a bit and I have a little time to think about it all. 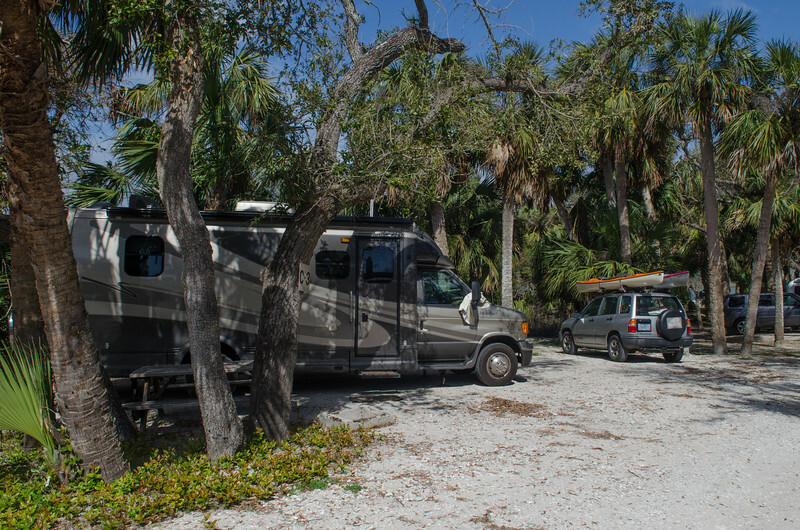 I have read several posts from several forums that discuss the merits of various kinds of RV's and the problems that are associated with them. Yesterday, when the exhaust system came loose on the interstate, I began to wonder again about whether things that are built in this country really are built well, or maybe not, no matter how reputable the company. Dynamax is supposed to be one of the best, a high end luxury coach with service and amenities to match. So far we haven't actually tested that out, but the time is coming. The most interesting part about owning one of these babies, is discovering just how easy it is for the makers to pass the buck along to someone else. We have had a few problems. The mirrors are great, huge things that have automatic adjustments and nice views, heated for cold weather, but oops, the passenger side mirror suddenly decided to come loose somewhere in the middle of a texas highway. We stopped to tighten it, only to discover hidden bolts and a small plastic panel that said words to the effect of don't touch this thing without a design engineer present. Called our trusty Rueben at Stahman's RV and he gave us a few pointers about removing the door panel to get to the screw, but in the end, it's come down to either a Ford problem or a Dynamax problem. In the mean time, Mo bought duct tape, in standard silver color, and electrical tape in a muted black tone, and taped the mirror together so it wouldn't fall off. Hence the trip to Modesto, to the appropriate design engineer, after being informed that the local Ford dealer doesn't work on RV's. 60 miles later, one way, we find out that the mirror is some kind of after-market thing that was put on by Dynamax. So the mirror is still duct taped until we find someone who will do warranty work on the Dynamax. Hopefully that doesn't mean driving back to the factory in Indiana, as I have read on a web site or two. geez. Then, the fancy brushed stainless steel 8 cu ft refrigerator, with a REAL freezer and plenty of space, has a chintzy plastic tab that snaps shut to keep the door from flying open when you go around the corners. hmm. so the tab cracks, and Mo decides to glue it, but in the process, glues the door shut for good, and then of course the whole thing breaks. Now we have to figure out who the aftermarket maker of the fridge actually is, and it's in that huge box of manuals that came with the rig. Of course, Dynamax or Ford probably don't have a thing to do with the little plastic thingy that keeps the fridge door closed. Then there is the aforementioned wooden panel above the gaping hole over the bed. Still propped up on the window shelf with several books and the stem end of a vacuum cleaner hose. Which every now and then decides that a curve is just a bit too sharp and falls with a very loud bump and slide. Note to self. Get a drill and screw that board back where it belongs. Someday. Dynamax should of course be responsible for this one, but do we really want to drive to Indiana? Batteries. Amazing invention. Especially when paired with converters and inverters and such. Problem is, we have a hard time actually remembering convert vs invert and which is doing what when. So we have to try to remember if the inverter is supposed to be on or off when we are driving, and if the battery should be in "store" or "use" when we are driving and will it charge anyway? Yesterday while driving, the battery suddenly reads 0 charge, that is the house battery, and we discovered that yes, the battery needs regular maintenance, and yes, more often than the once a month recommended by the dealer. Both house batteries were empty, and dead and wouldn't take a charge until Mo got out in the pouring rain and filled them. Of course, even with the nifty battery shelf that slides out so nicely, there is a cover that is screwed over the compartment that makes adding water very close to impossible without an eye dropper. But she managed, and once again the batteries worked. Our lovely Ford chassis has some really lovely leather captains chairs, both which are automatically adjustable electronically. Very very comfortable. That is, of course, until they no longer adjust and when Mo is driving it's ok, but then when I took over my knees were in my chest and I couldn't manage to lift my foot to the brake. Good thing I didn't have to stop. Thought we would get this handled at the Ford dealer while dealing with the other problem, but come to find out, the seats are also an aftermarket Dynamax thing and would need to go to them for repair. Lucky for us, Mo figured out it could be a fuse, and the Ford guy relented and helped us replace them. So at least on the trip home, I was able to use the brake. Then, of course, there is the small matter of the exhaust system. Driving along HWY 4 on the way down to the valley isn't exactly smooth, but we didn't think too much when something when "whang" under the front carriage of the hood. A rock maybe? something in the road? Didn't give it much thought after that except for this nagging thought that the engine somehow sounded louder than usual. Then some miles later, at 3am in the dark on the interstate, there is another whang and a bang and then the truly horrendous sound of an engine with no exhaust muffled at all. Now what!? Get back on the freeway. Is it hot? Is there any power? What the heck just happened anyway? It wasn't too bad if you didn't give it any gas, just a low rumble, but as soon as it was accelerated at all, or going up a 2 percent grade and needed a push, that big V10 engine sounded like some kind of huge joke. It was louder than anything I remember from the days when guys used to take their mufflers off of cars to sound cool. We weren't sure if anything was getting hurt or not, so drove slowly for awhile, especially up the hills, and decided that we could get to somewhere at least. The somewhere went from Sacramento, to Redding, to the last decision to go ahead and rumble up the pass and try to make it to Klamath. Turned out to be a good decision, because the Klamath Ford dealer was actually incredibly helpful and quick and said it was just a clamp that hadn't been installed properly and he took the rig and brought it back all nice and quiet and polite like a fancy Dynamax should be. Most other things that bump just have to do with the learning curve of having something with so many buttons. There are tank heaters for the gray and black water tanks, but I'm not sure if they are gas or electric, and there is the question of the order of when you push the on buttons for the "use" and the "gas on" and the "auto gas or electric" for the fridge, and actually turning the fridge on. and the inverter button. We still aren't sure about the order of that pushing. Leveling the rig and opening the slide is another funny one. Do you level first or slide first. Brake on for both, at least that part is easy, but is it key in and to acc for the slide? or for the levelers? and which order? turns out it is brake on key off for the slide. brake on key to acc for the levelers, and we have decided to level first and then slide. LOLOL ahh the joys of a closed system, an amazing closed system actually, when you consider all that is going on in a rig like this, especially the stuff behind the scenes. Last but not least, there are wonderful little buttons for all the doors and drawers to make sure that they don't fly open. As long as you check to be sure they are fastened properly. and that the vents are down. and the auto functions of the Fantastic Fan are turned off so the vents do what they are supposed to do. Those things actually decide to close if you are off somewhere with your vent open and it starts to rain. So I thought that since I am not running off anywhere particularly fabulous right away, it would be a good time to talk about what it's like having one of these lovely things called a Motorhome. Last Monday was a holiday for me, so Mo and I ran down to the valley to get some work done on the MoHo. Didn't happen, but we had a fun day any way. Did the Home Depot thing and even got to go to Costco, which I don't do here in California because it's too far away for me to justify the purchase of a membership. Got home by 3 and had time to make a great baked chicken dinner with oven fries. Amazing how easy it is to not feel guilty when your fries are baked not fried. Mo was was planning to go to Klamath this week by herself to try to get the MoHo registered, and we kept watching the weather window, with really cold temperatures and snow. The window was pretty short and the T up there was 0 to 5 degrees, not a good plan for being in a motorhome with the water lines still not winterized. So Monday afternoon while cooking supper I had a brainstorm. "Let's leave a 2 am, I'll go with you, we will get to Klamath mid day when it is a warm 25 degrees, there is no snow predicted for at least 2 days, and we will get out of Klamath and back down off the mountain (Shasta) by dark. I can help drive and we can do it." So we did it. Left at 2 am, got home 24 hours later at 2:30 am. whew. The funniest part for me was that while the alarm was set for 2 am, so we could leave at 3, I woke up at something like 11:30, and couldn't sleep, so we just gave up and got up and left. 3 hours sleep doesn't work too well for me! I am at work today and my brain isn't functioning at all. It was a fun trip, though, an adventure, with a bit of excitement added. About 80 miles from home with more than 300 to go the moho dropped something important on the freeway at high speeds. Guess the manifold and exhaust system didn't have a clamp done right and everything came undone. Because of the time window, heavy rain in California, at the fact that it was 3 am and nothing was open, we just kept going and made it all the way to Klamath. I can't tell you what a Ford V10 sounds like with no muffled exhaust system, especially climbing up the pass over Mt Shasta. Hysterical. We bombed into the rest areas in our new fancy rig sounding like some kind of teenager from 50's hell. Got to Klamath by 10 am and managed to get the thing fixed right away at the Ford dealer. Amazing that they said, "oh here, let us roll her in right now", instead of "come back a week from Tuesday" The guys were laughing when we drove it in, saying, "Hmmm, did someone drive over a snoberm somewhere?" "No, we don't live in this stuff, we did this in California!" The question was valid, since Klamath has had a real winter this year, and the berms are piled up everywhere in parking lots and between driving lanes on the roads. Some are so high that it's even hard to see the top of the MoHo which is nearly 11 feet. After getting things fixed, we parked in Wal-Mart and rented a car to drive out to Mo's house where the snow is many feet deep. That was fun as well just trying to walk up to her door without crashing into a big snow hole. Drove back to town, bought a burger and and actually got back over the pass before any more snow hit. It was a gorgeous sunny 4 degrees when we left Klamath, and pouring and 43 degrees by the time we hit the valley in California. You never saw 2 more worn out old ladies in your life. We both drove, but Mo did the last really hard part from the valley up to my house with all the hard rain and narrow roads with no shoulders and curvy stuff. I hate that awful feeling of driving and having to keep driving when I am sooooo sleepy and tired. ugh. We are driving west for the last time on this adventure, going down the curvy freeway over HWY58 Tehachapi Pass heading into black scary looking clouds over Bakersfield and fighting big trucks that smell like nasty diesel smoke as they gear down for the grade. We left Mojave at 6am knowing that we need to get to Jamestown before the big storm really hits hard. The weather service has changed the high wind watch to a high wind warning for northern and central California with winds up to 65 miles an hour in the valleys. Valleys? One storm after another is predicted with the really big ones to hit tomorrow. Let’s hope that they are right and that one more time we are just out of reach of the worst of it and safely home and parked. Sonora has rain and wind predicted for the next week. A great time to lay low. After a good night’s sleep we woke around 5 and decided that we could leave in the dark, a good plan since as I said, we are trying to beat the big scary storm that is on the way. I may need to just give up on typing now as well, since this pavement is too bumpy to manage a full line without having to backspace and make a ton of corrections. Ahh, back on HWY 99 going north now, passing through Bakersfield, and the road is so rough I can barely type, the air smells like oil and there a lots of trucks. California. Maryruth doesn’t like it when I say these things, but I just can barely tolerate being anywhere here anymore. Especially now, after traveling more than 6,000 miles, the contrast between most of California and the rest of the country is intense. Most of the population density in other places seems to be concentrated, and as you leave the cities you can escape the pressure. Here it is just everywhere, and the infrastructure is aging and there is more trash than anyplace else on the trip. It just feels so old and dirty . As dirty and worn down as New Orleans felt, I still didn’t see the kind of trash along the highways that I see here in California. I really don’t understand this part, all the other states seem to manage to do a great job of cleaning up highway trash except this one. What is that all about? Driving along the highway here the smells are overpowering as well, cows, onions, diesel, and oil fields. Yum. Once more, reflection is left till the end and goes wanting. It’s the last day and we are going home. Maybe some reflections on the trip overall will come on a quiet evening at home when it’s all done. But more than anything, I have to be thankful for how safe and blessed we have been throughout this entire trip, as though angels were following us and leading us and making the way. It can’t just be coincidence for 6000 miles, I don’t believe, I do believe we have guardians watching over us keeping us safe, and even keeping me from having to do the painful loss thing that I thought I was going to have to do with Teddy. Thank you is too small a phrase for what I feel about this. But. Thank you. Wednesday morning we got up and had a good breakfast, enjoying the desert light a bit and didn’t get packed up and driving until 10 or so, thinking we had an easy day. 300 miles should be an easy day if we don’t try to do anything extra, but on this day we planned to see Joshua Tree National Park. Even though it was overcast in the morning, but the time we got on I-10 the skies were clear and bright. The turn into Joshua Tree wasn’t far from the California State Line and we went into the park, ambled the narrow roads and checked out the visitor center. This park doesn’t allow dogs on any of the trails, so we couldn’t go walking with Abby anywhere, but we did drive around a couple of the campgrounds, including the Belle campground which was small but seemed like the least crowded and the best place for us. The Jumbo Rocks campground was almost full and much busier, and we managed to get back on a cul-de-sac where turning the rig around was a bit dicey, especially since it was an uneven dirt road where we would have a much difficulty trying to unhook the Geo. After a bit off jockeying we got around the turn and breathed that sigh of relief that also said we were glad none of the tent campers there were around to watch us! We looked at a few more campgrounds, and then stopped at a simple wide place in the road all on our own to park and have lunch and take Abby for a little walk just out into the rocks. Perfect. No people, nice view, perfect amenities, while I made a light lunch for us and we relaxed a bit looking at the soft rounded granite shapes of the landscape. Joshua Tree would be a nice place to camp and relax a bit, and maybe have some time to actually build a fire and bring out the cards. I think we played dominoes once on this trip, and am not sure if we ever managed a single card game. Geez. Leaving Joshua Tree we traveled along the desert through Johnston Valley, which is still BLM land and designated OHV area. The good part about this is that we didn’t see any OHV’s, just a very long vista of wide open undeveloped desert. Something to think about when I complain about those OHVer’s taking over the country. Not a house or a pole in sight. It was truly beautiful. On west to HWY 18 and Bear Valley Road where we took a side trip south on Central and east on Roundup Way to find Mo’s old rental house in Apple Valley when she was teaching there so long ago. The little block house was actually still there, although surrounded by some mcmansions, but they all shared the same once magnificent view of the desert to the north, marred now by development as far as your eye could see. It was especially bad to the west toward Victorville and Hesperia, and as we headed west again on Bear Valley Road I felt as though we had dropped into some kind of hell. All I could think of is how grateful I was that I never applied for the soils job in Victorville and felt sorry for Paul who went to that job from rural Colorado. We finally made it to our CampClub USA campground, Sierra Vista RV Park, in Mojave, just before they closed at 6 and found our place to settle in. One more time one of the fancy bells and whistles for the MoHo gave us some trouble. While we were driving through Joshua Tree, the warning light for the leveling jacks came on, and we stopped, turned off the engine, and it went off. But then last night when we tried to level the rig, nothing happened, no lights, no power to the touch panel, nothing. In spite of all the manuals we have in the huge box, there wasn’t a speck of info on the levelers, so we went searching the internet. Only problem, is that in Mojave, even though I had 4 and 5 bars on the phone card, the connections was still s l o w w w . as in very nearly not moving at all. In spite of that, we found the HWH Hydraulic Levelers web site and found the owner’s manuals, the operation manuals, and even a powerpoint demonstration on how to level the rig. Sure do wish I had that in the beginning! But all to no avail, except to reassure us that sooner or later we will get some good help from either Rueben at Stahman’s or from HWH directly and eventually the levelers will work again. Lucky for us it was the last night and our site was unbelievably perfectly level. Something that doesn’t often happen even in the most expensive parks. And our little place only cost 13 bucks last night! It was after 9 when we finally gave up on figuring out the problem and went to bed. About then Mo discovered some glitches in the Fantastic Fan in the bathroom, but thank goodness she agreed that we didn’t want to spend one more minute trying to figure something out. We enjoyed Quartzite, although we were a couple of days too early for things to be really going yet and most of the shows were still closed. There were enough places open along the main drag that Mo could get the flea market crazy feel of the area a bit and we shopped for things like duct tape and a hammer to replace what we had left behind in the Baby MoHo. We camped out beyond the BLM Long Term Camping Area which was about 6 miles south of town. The Long Term Area was about 1/3 full of RV’s, many of them with tall flags blowing in the strong wind so that their owners could find them out there. It’s all random and a lot of it looks the same so it’s easy to lose your rig. The LTCA areas require a permit for 14 days consecutive or for a season, and charge a very small fee. In that area there are trash and outhouses and minimal water available at La Posa, but the regulations say come prepared to dry camp with plenty of water and gas for your generator and empty waste tanks. It’s an interesting place and many people go there to escape the winter cold and camp for almost nothing in the desert. At the La Posa area south of Quartzite, there were circles of motorhomes that looked like the old wagon train thing, and they had big fires, maybe a dozen rigs camped together out there for reunions or celebrations. Looked as though it could be fun sometime, but I wouldn’t want to travel that way for any length of time. We slept well there, and the rv performed just fine with the slideout working well, the levelers doing great on the uneven rocky ground, and the generator giving us enough power to use the microwave and charge up the computer and catch up on email. We didn’t bother with the tv or trying to get a signal there at all. Traveling west on I-10, the pavement here is smooth and dark, and great for writing. We left the campground this morning just before 9am and had some fun conversation about the old days when I used to do the show circuit selling flowers. Talking about the Tucson Gem and Mineral Show, the biggest in the world with Wes and Gayle last night was interesting. They were traveling in Holland last summer and Gayle wanted a very special gemstone ring that would commemorate her visit there, and found out after buying it that the owner of the little shop in Holland had purchased it at the Tucson show. Funny. Told Mo the story of the people at the quartzite show so many years ago when I was selling flowers there who were selling rv vents for 10 bucks each and making way more money than I was with all my fancy stuff. We laughed about “plastic sunglasses” and how easy it seems to have some little inexpensive thing to sell while you are traveling, but of course it never is as easy as it looks. Then we talked about having a little tent and I could do tarot readings. Once long ago I thought that might be fun, but I would definitely have to get my mind and soul back into a different place than I have been of late. Coming up to the interchange between I-10 and I-8 shortly and in the west it looks as though there is a lot of dust. It was windy this morning as the sun rose, windy in that desert coyote way that I love, but a bit worrying for driving the rig, but so far it hasn’t been a problem. I do remember that often around Quartzite this time of year they have wind advisories and make the big rigs get off the roads. So this is the Phoenix bypass route we are taking and the wind and dust now are getting fairly serious. Who knows why rv’rs go to Quartzite, it’s big and flat and full of people, and it’s hard to imagine what draws so many there. It’s just a “thing” I guess, and everyone with an rv needs to see it at least once, so off we go.